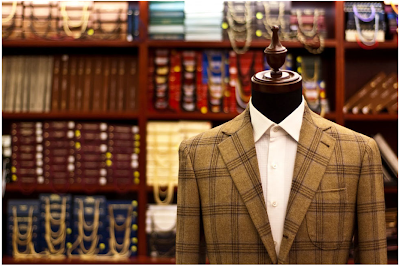 As an expat Brit living in Hong Kong, I like to think have a keen eye for style and fashion but surprisingly had never thought about going bespoke until I got married last year. My first attempt was in fact my wedding suit made by the same person who made the dress for my wife, and whilst I thought it was great at the time, on reflection, I definitely got what I paid for (approx £120 for a 3 piece) in terms of quality and cut. Having read countless online forums, everyone seems to have their favourite HK tailors from the low end to the very high. The few ‘expensive’ ones (WW Chan, Gordon Yao, A Man Hin Cheong etc) seem to get a lot of good press but their prices seem a little steep for the jump I want to make, especially for the branded cloths I am keen to try. Is there a hugely noticeable quality between the ‘branded’ cloths such as Zegna, Loro Piana and Dormeuil – rather than the non branded? It seems like they cost upwards of 75-100% more, but am I paying for the name, the quality, or both? Secondly, if you had the choice of getting something made with a more expensive branded cloth from a mid range priced tailor (such as your HK tailor, E.Italian) or a cheaper non branded cloth from one of the high end tailor (such as WW Chan), which would you choose? Thirdly – in order to save some money, would it be cheaper to source and buy the cloth myself and would the ‘good’ tailors in Hong Kong allow me to bring my own cloth? Where would you recommend I start looking for cloth – preferably online? Really pleased you’re making the jump to a great bespoke suit. It sounds like you have a real interest in clothes and will get the most out of the process and final result. Hong Kong is a fantastic place to do this for the first time, because you have the full range from overnight, cheap jobs such as you have already experienced, to the expensive tailors who approach Savile Row in both cut and quality. In between are the tailors like E.Italian, which I used when I first started out, who will deliver an impressive amount of handwork for around £300 but won’t quite reach the WW Chans of this world on quality, and certainly not on fit. On cloth, it’s not worth paying for Zegna or Loro Piana, particularly on your first suit. Get a good, solid English or Italian mill and something that will last – perhaps a couple of ounces heavier than you might naturally choose in Hong Kong, 11oz at the minimum. Some of the extra you pay for big-brand cloth is that branding, and the rest is innovation and research to get particularly fine or luxurious cloths, which aren’t the point of your first suit. You can source cloth yourself, but it won’t save much money by the time it’s been flown out to Hong Kong. Most HK tailors will do a CMT job, but I would just bear that in mind for a time when you have access to cloth for some reason (e.g. you’re in London and wandering past the WW Bill basement!). Finally, my one piece of advice on having suits made in Hong Kong: always say what you think, and insist on style changes that you are sure are right. 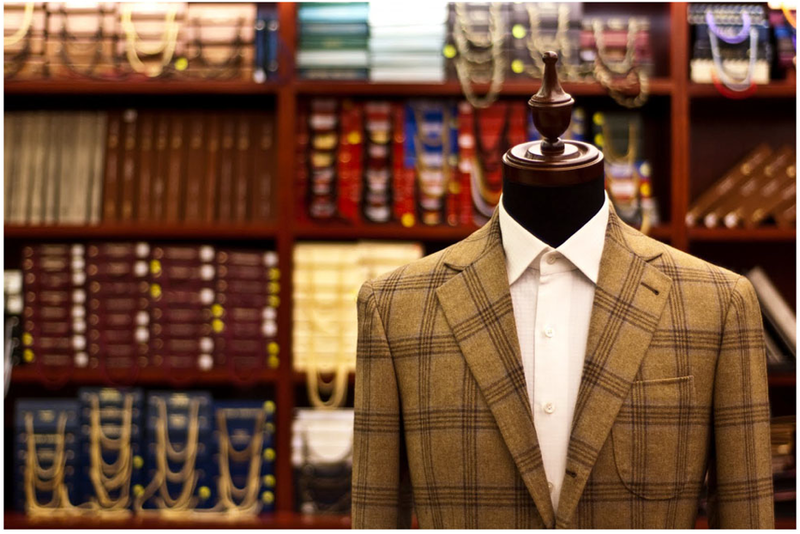 While the tailors obviously know more than you, there is a tendency to square, boxy jackets and similarly styled trousers that you want to avoid. You can follow the discussion on Reader question: first bespoke, in Hong Kong by entering your email address in the box below. You will then receive an email every time a new comment is added. These will also contain a link to a page where you can stop the alerts, and remove all of your related data from the site. Any views on Baromon,which seems to be the 3rd great tailor in HK along with Chan and Gordon Yao? Again, no personal experience I’m afraid. I never had a top-end HK suit made. I have a couple of bespoke (formal) structured suits from the Row and some MTM. How risky is it do you think to try for something a bit more summer appropriate here – any suggestions on what might work for a HK tailor to do that would be summer/Italy appropriate without showing anyone at the weddings up? A soft, Neapolitan make would be really nice – how about seeing when Orazio Luciano is visiting the Armoury in Hong Kong? HI SImon, love this blog which I follow regularly btw. I am a men’s designer and sell cloths online by italian mills as well (mostly Guabello and Fratelli Tallia Delfino of Biella). I think that 11oz at a min is quite heavy weight and not the norm in italian cloths, mostly being around 8oz to 11oz. WOuldnt these be suitable for HK climes and indoor office use? Although I agree that for daily use (often in super aircon infested rooms) a heavier weight will be necessary, I think one can still find lighter weight, maybe with a mohair mix, would suffice? Perhaps not the norm for Italian cloths, but I wouldn’t recommend anything lighter for a first bespoke suit. Anything lighter worn regularly won’t last very well. What is a reasonable price from a decent tailor, e.g. Edward, for a unlined sport jacket of decent quality fabric? And how do you compare his work to e.g. Graham Browne? Slev, Edward charges around 250-300 pounds I think, but he doesn’t really compare to Graham Browne, in terms of expertise, cut, style or make. They are good suit, but a third the price of GB and GB is excellent value. If you want more on Edward Tam, have a search on the blog. There’s lots of stuff there. Again many thanks for writing such a splendid blog. I have traditionally not had vents on either my suit, or sport jackets. Being 180cm and 71kg., I have liked the way a vent-less jacket looks. I have also read that going “ventless” is the preferred way for the physically fit to wear their jackets. However, I had the good fortune of purchasing a new Brioni blazer at an excellent price. My Neapolitan trained tailor suggested that with this jacket, I leave the dual vents in. I searched through your readers’ questions, and could find nothing relating to vents? Are there any guidelines? Is it purely a matter of taste, etc. I would normally always go with a double vent. Never a single vent – there’s really no advantage to it, but is often used in RTW as it’s cheaper. I would certainly recommend trying a double vent. I note you have in the past mentioned that single vents are matter of cost saving. However, in your quest of various bespoke jackets/suits, I notice your discovery, and resulting advice on all manner of details from fabric selection, to arm holes, and pockets, yet nothing on vents/no vents. Does this never come up as a consideration between you , and the tailor? If so, how is it “settled”? firstly I must say I really enjoy following Permanent Style on Instagram and visiting this blog from time to time. I don’t wear suits (unfortunately) as I always wear jeans (fortunately) being a jeans maker. I do like to wear a jacket with that occasionally, but so far that’s a rtw. I am a great admirer of the tailoring craft and fascinated by how a suit comes to life. One issue I’ve been pondering over is the matching of patterns on a jacket. Naturally a well made jacket will have the pattern on the sleeve match the chest. I noticed that often this goes for the horizontal line while the vertical ones in the pattern (windowpane or check) don’t match, as in this post. It would seem that moving the pattern for the arm more to the left or right on the fabric while chalking would result in a match both horizontally as well as vertically. With your expertise I am sure you could elaborate on this matter. Would be great. Yes, you’re right it is nicer if the patterns match vertically on a jacket with the sleeve. It’s not something everyone focuses on, and can be tricky to get right given you may change the position and pitch of the sleeve during fittings, but it is possible. Personally, it’s not something I’ve ever been that bothered about – as another example, some people like jackets without front darts as they will interrupt any pattern. But I care less about that than about the overall style and cut. About the pitch, isn’t that why a fitting is done in another fabric at first? I was wondering what is your opinion on Ascot Chang’s bespoke suits ? What is the level of craftsmanship comparing to WW Chan bespoke? Interms of accessibility since they have shops in U.S they are much more convenient to go for!